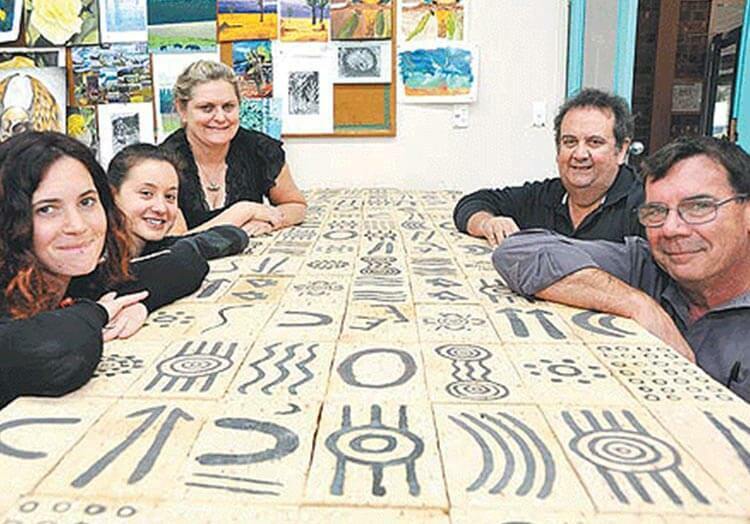 Ancient symbols used by the Adelaide Hills’ Peramangk people will be put on permanent display in Mt Barker to honor the region’s first inhabitants. Depicting the Indigenous People’s representations for words from man and woman to rain and stars, the symbols will be placed around a rock monument in a local park. Eight students from Mt Barker TAFE SA’s visual arts and contemporary craft course produced the symbols in black ochre on Tuscan pavers provided by Littlehampton Bricks. “We feel very privileged to have this opportunity to work with something that is so sacred”, said Mark Fiora, Littlehampton Bricks’ owner. PreviousPrevious post:COUNCILS APPRECIATE THE QUALITIES OF CLAY PAVERSNextNext post:PASSIONATE ABOUT RED!